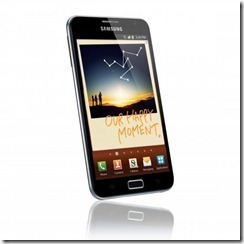 It’s not long since the Galaxy Note was released and already the Developers over at the XDA Developers website had came up with a CM 7.1 solution for it. If you have the device and want to root and boot it with this ever popular community ROM then follow the simple steps below. Install ClockworkMod Recovery on your phone and gain root privileges (you can click here for instructions and then this link for getting root access). Download the CyanogenMod 7 unofficial build from here and save it on your desktop. Connect your phone to the computer via USB cable and copy the downloaded ROM zip file to SD Card root. Reboot your phone in ClockworkMod Recovery. Create a backup of your current system using Backup / Restore option in recovery. Wipe Cache partition and Data Factory Reset options in recovery to completely wipe your phone. Choose install zip from SD Card and select CM 7 ROM zip file you earlier copied to SD Card root. Now wait for the installation / flashing process to complete. Once done, reboot your Samsung Galaxy Note. And there you have it, courtesy of the wise old developers you are now running Android 2.3.7. Land of Droid accept no responsibility for any damage caused to your phone if you follow the steps above. Rooting your phone may invalidate your warranty and can cause irreparable damage if not done correctly. You make these changes at your own risk and agree not to come back to the Land of Droid team with complaints or recursive actions such a claims or suing us. links are a dead, please reupload ? Your best bet is to head to XDA and have a look around there, or the Cyanogen forums.